Across the board, customers agree that there's one thing Kefa Cafe really does better than any other spot in Silver Spring, and that's coffee. 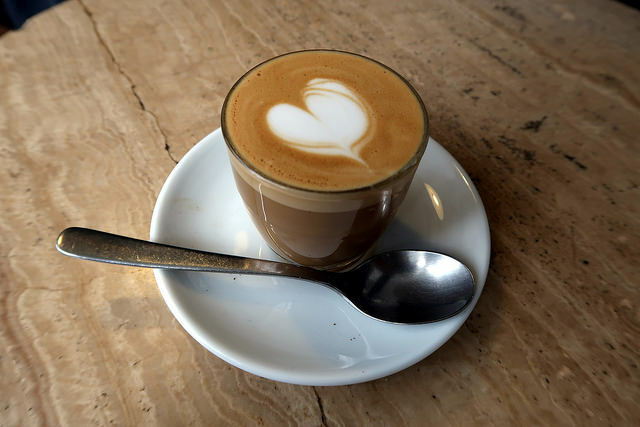 Although it might not be the most well-rounded cafe when it comes to frills like fancy creamers and syrups or baked goods, Kefa more than makes up for this with its carefully crafted cups of joe. Come to the coffee shop on the first floor of the Silver Spring Library to meet its always warm and welcoming owner and order a pour-over. Kefa boasts beans from all over the world. Some hail from coffee-growing regions you may know well, like Ethiopia and Colombia, but others travel from unexpected origins such as Korea, China, and Nepal. Order your coffee black or au lait and watch while the shop's owner or one of her staff create your cup with great care.